Orlando, Fla.-based Massey Services team member Ed Dougherty has been promoted to the position of executive vice president, chief operating officer. Dougherty joined Massey Services in 1992 as a manager trainee, and has been continuously promoted to positions of increasing responsibility. 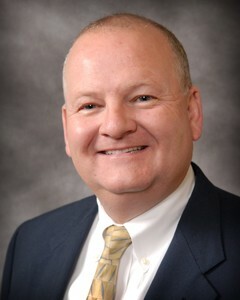 In 2010, he was promoted to executive vice president of operations. Dougherty’s new role includes responsibility for residential and commercial business operations in all six states that the company currently services. Originally from Philadelphia, Dougherty began his career in the pest management industry after he received his bachelor’s of business administration in marketing from Eastern Michigan University. He completed the Harvard Business School OPM Key Executives Program in 2004 and is a graduate of Leadership Orlando. Dougherty is a member of the Board of Directors for Florida Citrus Sports and previously served as a member of the American Heart Association’s Heart Walk leadership team. He also volunteers with organizations such as Junior Achievement and Autism Speaks.